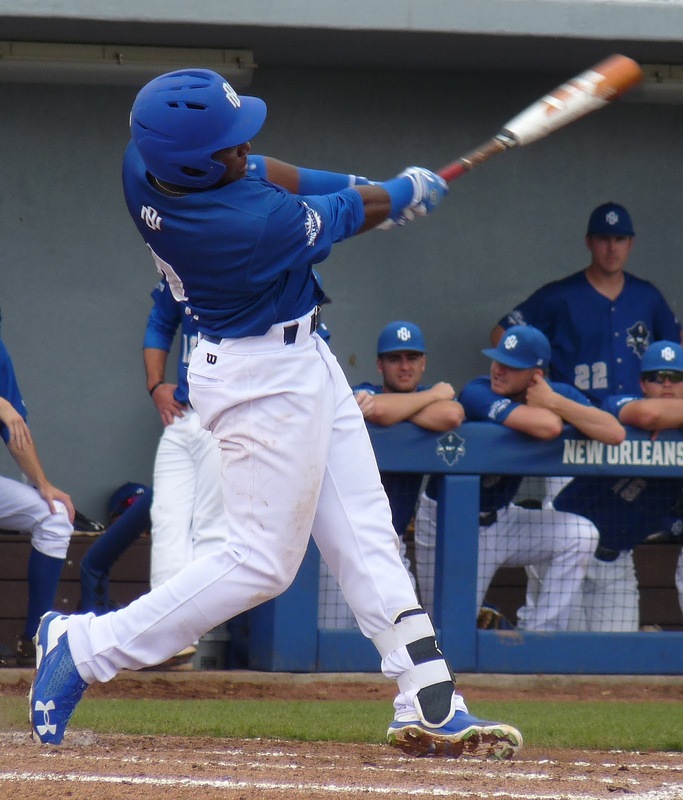 Power from an unlikely source propelled New Orleans to an 8-7 come-from-behind victory over Tulane on Tuesday night at Maestri Field, for the first win in this year's Pelican Cup series. Jay Robinson's grand slam in the second inning gave UNO an early 4-0 lead. Still up 5-3 in the eighth, Privateer reliever John Barr came into a bases-loaded no-out situation and, after retiring two in a row, surrendered a Green Wave grand slam to Grant Witherspoon. But the Bucs fought back in the bottom of the inning, as Robinson again stepped up to hit an RBI triple to cut the deficit to 7-6. He then scored on Connor Pellerin's wild pitch, and after a scoreless top of the ninth for the Wave, Owen Magee doubled, advanced to third, and scored on another wild pitch, this time by Sam Bjorngjeld, for the win. Magee also homered earlier in the game and was 2-for-4 on the night. Robinson and Collin Morrill also had two hits apiece for New Orleans. UNO begins conference play this weekend against Southeastern Louisiana, with Friday and Saturday evening games in Hammond followed by a Sunday contest at Maestri Field.